Mr Miguel Sánchez, our International Coordinator, was visiting Deltion College from 17th to 21st of December. He was received by Mr Herman Zwakenberg, the International Coordinator of that college. Apart from visiting the college, he paid special attention to the Mechatronics Department. Mr Marten Jongsma was the teacher who led the visit and showed the way the Mechatronics department works. Our school was very interested to visit that college in order to get interesting ideas for finding out how international colleges develop cutting-edge projects. Mr Miguel Sánchez could visit the main areas of work, making a list of the most important areas of expertise. He analysed the project development underway and had a look at entrepreneurship method. After that, they reviewed the teachers’ profile and the timetable of the mechatronic studies. Moreover, he visited the mechatronic workshops to observe their structure and needs. Finally, he searched for technical resources to teach technical subjects (technical material, books, software, and hardware) and visited the companies Kornelis Caps & Closures and ITM Group Kampen. Our institution, INS Escola del Treball (Lleida), currently has the studies of Automation and Industrial Robotics (Higher Education) and Electrical and automation installations (VET). In the context of the modernisation, we are involved; we have just asked the Education Department of Catalonia to set up Mechatronic studies at our school to widen and complete the choice in technological studies related to automation in our city. Therefore that visit was highly beneficial. 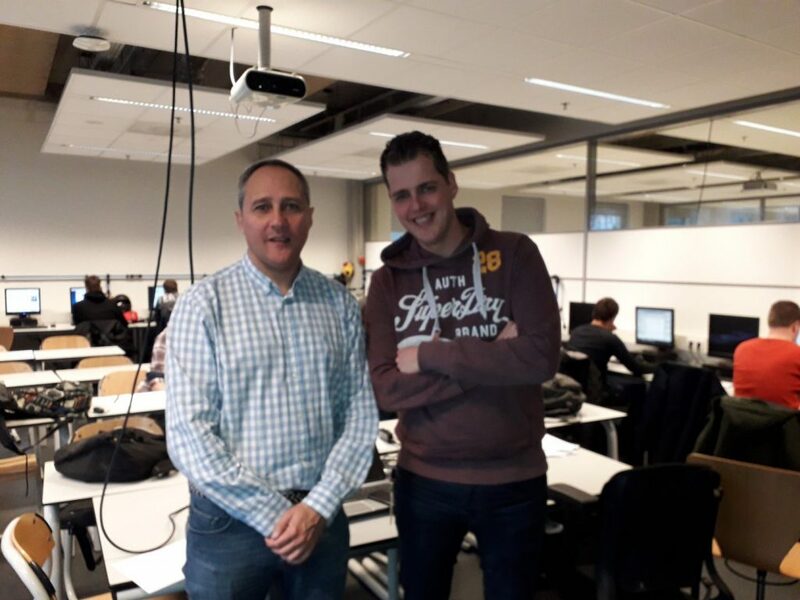 I would like to thank Mr Herman Zwakenberg, Mr Marten Jongsma, Mr Peter Smith and especially all the students and colleagues I met at Mechatronics Department because they really made me feel like at home.